This is the last of my reports from CES 2018 and it deals with devices and apps designed to help you sleep. While most smart watches include sleep tracking, that feature does not help you to fall asleep or experience better sleep. 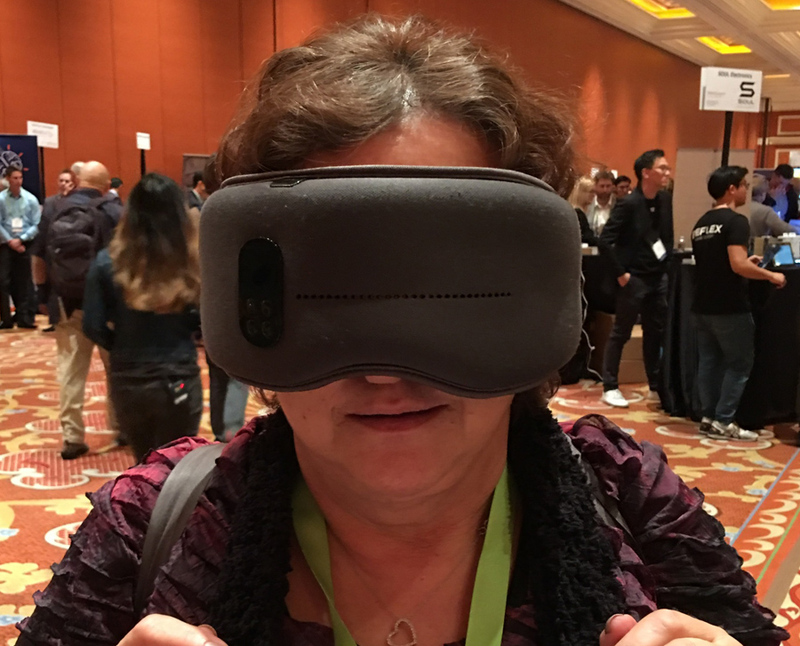 Of course, the tech industry has never been one to pass up an opportunity, so there were a number of devices at CES that claimed to remedy this problem, ranging from a device that resembles a stuffed bean to a mask that makes you look like the lone ranger. But hey, insomnia is no laughing matter, so if one of these devices does in fact help alleviate the problem as claimed, I’m all for it. 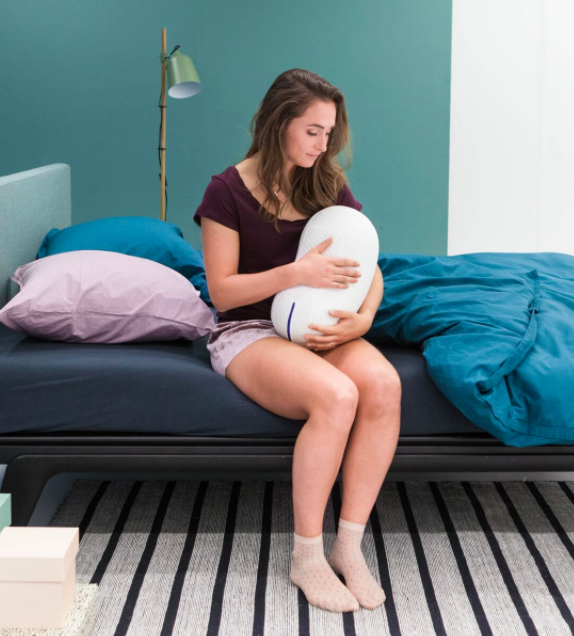 Somnox advertises its sleep robot as the perfect nighttime companion, one that helps you fall asleep faster, sleep longer and wake up refreshed. Functionally speaking, it’s a large bean bag-like device that the user hugs like a teddy bear. Once in your arms, the robot “breathes” in a rhythmic manner while producing soothing sounds, supposedly offering a natural way of improving your rest by imitating the feeling of snuggling up to a loved one. Users can also set daily preferences using an accompanying mobile app, allowing for a tailored approach to solving your sleep issues. It is also supposed to cure insomnia, which I’m guessing is Somnox’s way of justifying its $549 U.S. price tag. Again, insomnia is no laughing matter but I personally cannot imagine hugging a plush, two-foot-long bean before falling asleep. An alternative might be Dreamlight, a smart sleep mask that tracks and analyzes your sleep patterns in addition to helping you fall asleep in the first place by blocking light and moving pressure away from sensitive parts of the face. Among other claims, Dreamlight says its mask can lessen jet lag, by calculating the best wake-up time, based on your flight schedule, for you to arrive rested and adjusted to your new destination’s time zone. Again – no laughing matter, but I wore the Dreamlight for a couple of minutes and already found myself wondering how comfortable it would be to wear overnight or in the confines of a cramped passenger seat. It is bulkier and wider than the usual sleep masks, and would certainly draw some odd looks if worn on a plane like one of the pictures in its brochure. The device is available on Indiegogo for $266 U.S.
Another option is “Shleep,” a personal sleep coach. This iOS app does not have a bean bag to hug or a sleep mask to wear, but it was created by sleep scientists for use by enterprises, and comes with a free trial. Users interested in taking advantage of the app must begin by answering some questions about their sleeping habits. The app then generates a time-based checklist of habits, such as winding down physical activity or dimming lights and screens, designed to help deliver a more restful sleep. The app also provides “bite-sized” sleep facts, reminding users of the benefits of reinforcement. If you like the trial, subscription fees are in Euros: €9.90 per month or a €329 one-time fee provides access to 100 online tutorials and workshops to help improve your sleep. 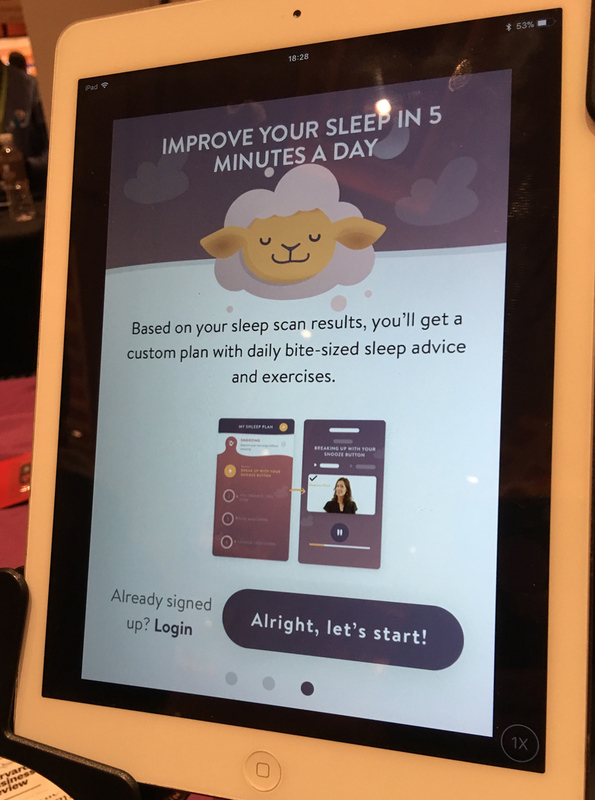 These are just a few of the devices/apps offered at CES that claimed to help you fall asleep, though personally speaking I think the technology is still in its early stages, with no large scale study to show that they work. It’s also worth asking whether these devices are needed at all. The internet is readily available, with numerous sites providing free advice on how to deal with sleep related issues, many of which suggest a familiar pattern: turn off your smart phone, and indeed any electronic devices that emit light or sound, at least an hour before you want to go to sleep, and make sure your bedroom is an analogue one. In fact, the more cynical among us – and far be it from me to be among them! – might regard these devices the technology industry’s response to a problem it created and now considers an opportunity to sell more technology, with all of the startup and vendor hype that entails. Whether you choose to listen to them, of course, is up to you. But my suggestion is that if you decide to purchase one of these sleep aid devices, do so with your eyes open.